Dow Chemical Co plans to triple its revenue from sub-Saharan Africa in the next five years and is investing in offices, local staff and manufacturing plants on the continent to meet that target, its head of the region said. "We expect to triple our revenue from Africa over the next five years. That is our objective and we are on track to do that," said Ross McLean, President for sub-Saharan Africa. 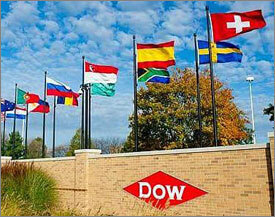 "Dow is absolutely betting on Africa's growth," McLean added. "We are here for the long term and we are not scared by the bumps in the road. Africa is a place where you have to be pretty resilient and determined," he said.